The legendary Harley-Davidson VRSC™ drag-racing platform is the base upon which the Harley-Davidson V-Rod® models are built. That should be enough to make most riders in and around Lakewood and Aurora, CO want to learn a whole lot more about these beefed-up cruisers. 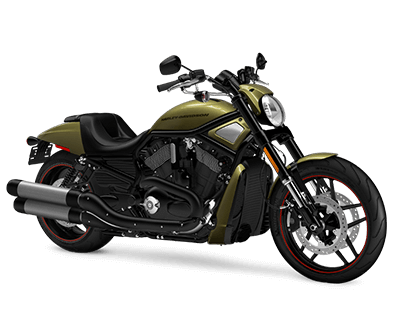 Featuring a sleek, classic design and powered by a 60-degree liquid-cooled V-frame Revolution® engine (that Harley-Davidson teamed up with Porsche to develop), the V-Rod® is every bit a muscle machine, much like the a modern muscle car. A real stand-out among Harley-Davidson models, the V-Rod® has the dominating power and presence you want from an authentic custom street cruiser. If you’re looking for a superior combination of uncompromising style and tire-burning performance, the Harley-Davidson V-Rod® is the bike for you. 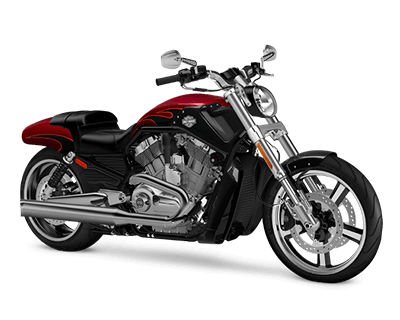 From its drag-style handlebars to its satin chrome finished dual exhaust and fat 240mm rear tire, the V-Rod Muscle® has all the swagger and slick street style you could ask for. Once you settle into the comfortable saddle and fire it up, you’ll feel the rush of a maximum 86 lb-ft of torque and 122 hp delivered to the rear wheel by a six-speed transmission with a slipper clutch. When you choose the V-Rod® Muscle, you get a beefy, fine-tuned machine that will take your riding experience to the next level. The look of the Night Rod® Special is dangerous, more than a little sinister, and loaded with attitude. Its pitch black dragster handlebar, forks, wheels, triple clamps, swingarm, and engine combine in a sleek, seamless, no-nonsense design, that is backed up by a 1250cc Revolution® engine producing 125 hp with 84 lb-ft of torque at 7000 rpm. Nimble, quick, and responsive, the Night Rod® Special is a power cruiser that means business even when it’s standing still.